1. Buy a candy thermometer. It’s the best $5 I spent and really helps to know when the icing is done. 2. 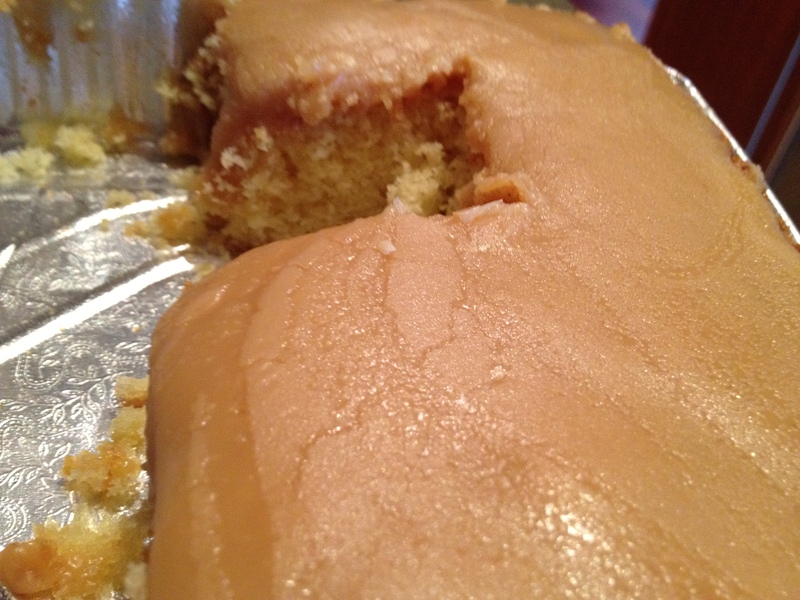 When making the caramel icing, use LOW heat. 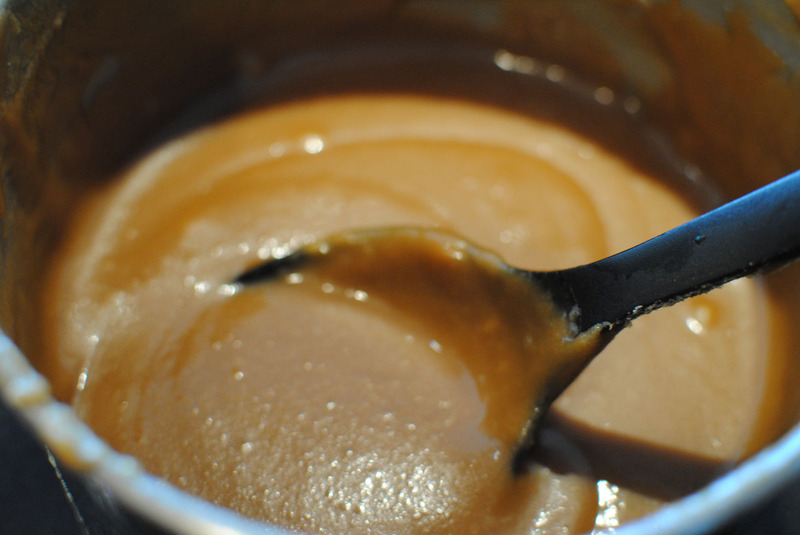 It takes forever (or nearly an hour in my case), but you won’t burn the caramel and make a huge mess of your kitchen. 3. Wait for the cake and the icing to be fully cooled before you try and ice the cake. If either is still warm, the icing won’t stay on the cake. 4. Sometimes, you can’t recreate a recipe to a tee and that’s OK. However, Cindy Lou – if you’re reading this and want to give me your recipe, I would be forever grateful!!! 1. Preheat oven to 350°F with rack in middle. Butter an 8-inch square cake pan and line with a square of parchment paper, then butter parchment. 3. Beat butter and sugar in a large bowl with an electric mixer at medium speed until pale and fluffy, then beat in vanilla. Add eggs 1 at a time, beating well after each addition. 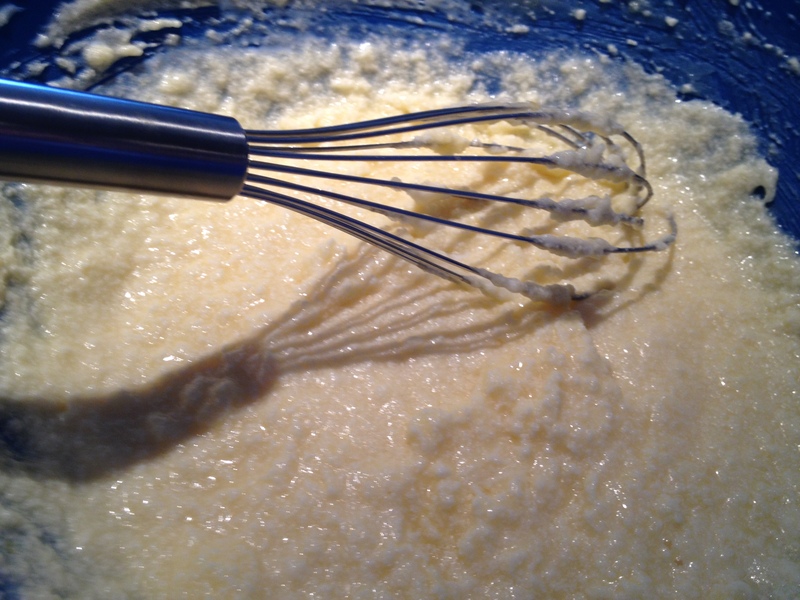 At low speed, beat in buttermilk until just combined (mixture may look curdled – see photo below). Add flour mixture in 3 batches, mixing until each addition is just incorporated. 4. 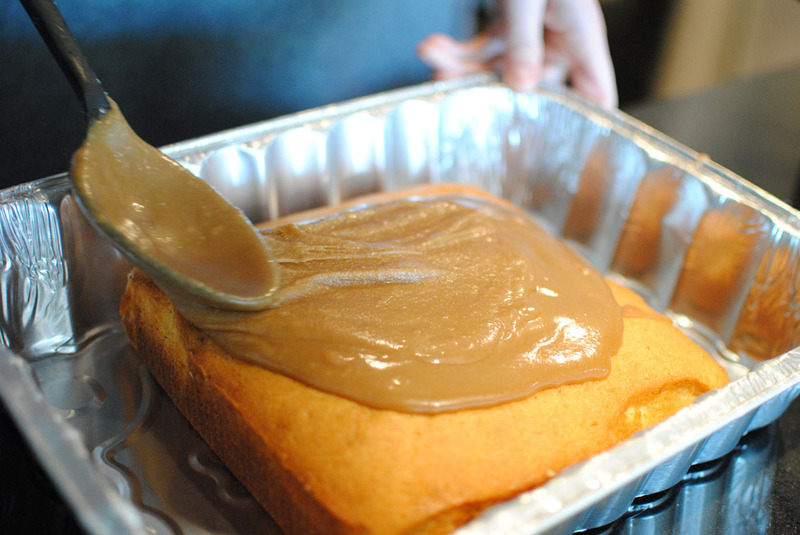 Spread batter evenly in cake pan, then rap pan on counter several times to eliminate air bubbles. 5. Bake until golden and a wooden pick inserted in center of cake comes out clean, 35 to 40 minutes. Cool in pan on a rack 10 minutes, then run a knife around edge of pan. Invert onto rack and discard parchment, then cool completely, about 1 hour. 1. Mix sugar and half and half in a heavy saucepan and cook, stirring over low heat until syrup reaches the soft-ball stage, 235 degrees on a candy thermometer. If lacking a thermometer, check doneness by dropping a tiny bit of syrup into a cup of cold water. When the syrup can be gathered up in fingers and will almost hold its shape, it has reached the soft-ball stage. 2. Remove pan from heat. Stir in butter, then let syrup cool. Add vanilla and beat until frosting reaches spreading consistency (note: the icing will thicken as it cools). A little cream (or half-and-half) may be added is mixture is too thick. 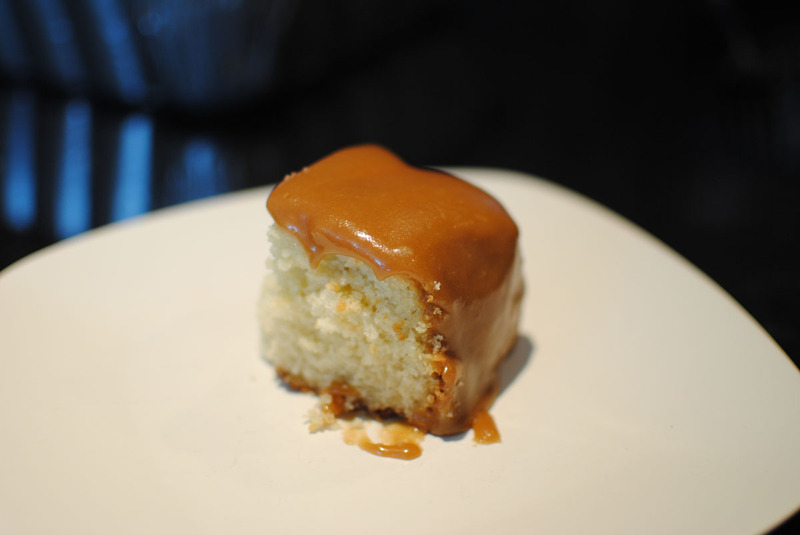 that looks wonderful – I’ve been craving caramel a little recently.